walketh not in darkness, but shall have the light of life." Pope John Paul II updated the Rosary recently with the Luminous Mystery Rosary . This is a major event in history of the rosary. The Luminous Mystery Rosary or the Mysteries of Light, as they are also called, focus on the public life of Jesus, the years He was preaching spanning the time between His Baptism and His death. They are called the Mysteries of Light because Jesus is the light of the World. Jesus as the light is mentioned several times in St. John's Gospel. Pope John Paul II felt that it was important to add these mysteries to the history of the rosary because there was a gap between the childhood of Jesus that is meditated upon during the Joyful Mysteries and the suffering and death of Jesus that is meditated upon during the Sorrowful Mysteries. He also added them to revive interest in the Rosary which in his words illustrate an "ocean of joy and of light, of suffering and of glory" in the lives of Jesus and Mary. 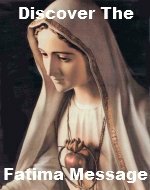 Just like the other mysteries, you can meditate on the mysteries of the life of Jesus with His mother, Mary mother of God. It was Mary who asked Jesus to perform His first miracle at the wedding at Cana. When the bride and groom ran out of wine, Mary went and told Jesus. She told the servants to, "Do whatever he tells you" -John 2:5. Because of Mary's prompting, Jesus turned water into wine at this wedding. 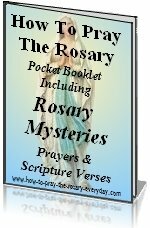 According to Pope John Paul II, this event, in the history of the rosary, is the foundation to all the Mysteries of Light because the role Mary played as "intercessor" at the wedding continues throughout the other four rosary mysteries.